Soviet Soviet + Comaneci/Live, Friday 9 December @ SIX D.O.G.S. At the 1976 Olympics, in front of a stadium buzzing with voices and staring eyes a young girl made history. With cat-like grace and a framework more suited for a butterfly than a tumbler, Nadia Comaneci enchanted, danced and floated between the parallels becoming the first gymnast to ever score a perfect 10. Comaneci entered everyones heart in that stadium, and in 2002 started to share her meaningful appellative with this punk acoustic outfit from Ravenna, Italy. Comaneci issued two self-titled EP in 2004 and 2005, the albums _volcano_ in 2007 and YOU A LIE in 2009. They played many shows throughout Italy, Europe and Usa; a precious collaboration with director S. Mordini for the soundtrack of his film Provincia Meccanica also presented at the Berlin Festival (OST available on EMI). Soviet Soviet were born in 2008 between Pesaro and Fano, Italy. even in many important festivals. to a new crowded tour. the berliner compilation “Death # Disco – Volume I”. from national and international media. 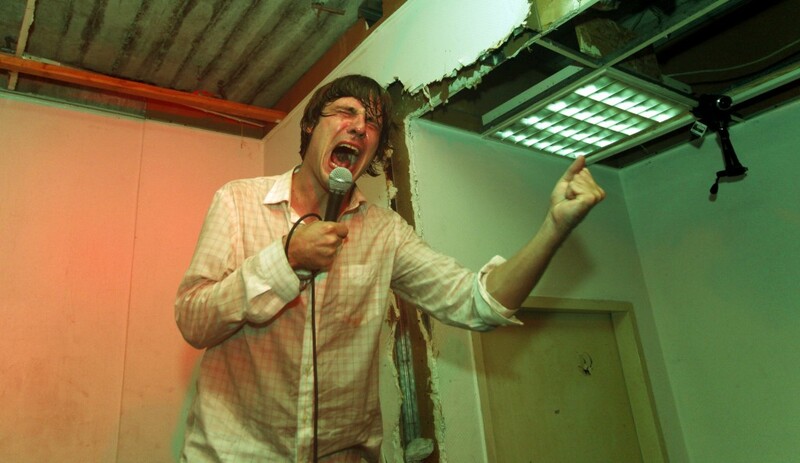 JOHN MAUS + The Boy/Live, Monday 21 November @ Six D.O.G.S. His constant search for the “truth of pop” and the universal values of love and truth through a mutually intelligible language brought him next to the side of Ariel Pink and Panda Bear, and urged him to reconstruct DIY new wave through three extremely personal albums. This year’s “We Must Become the Pitiless Censors of Ourselves” is undoubtedly his greatest achievement so far and claims a high place on the 2011 best albums lists. The support artist is The Boy /Alexanderos Voulgaris and he could be considered as an intellectual brother of John Maus, The Boy draws a deep line of concrete meaning and sends Black Blood (the first book of the same title, released along with this year’s album “Hliotherapeia”) to the front line of Greek lyricism. He works as a link between parallel worlds that lay bare in front of our eyes on a daily basis. He reinforces his message by talking face to face and exposing a loud domestic violence that does not redeem but speaks of an uncertain future. EMA + Monovine/ Live, Saturday 19 November @ Bios. Erika M. Anderson was formerly known by few as the frontwoman of Gowns, the Californian drone folk band that disbanded after the release of a remarkable album and a string of legendary live shows. This year, however, her name caused a sensation in all major international musical media and found a distinctive position next to the names of PJ Harvey, Cat Power and Kim Gordon. Through the release of her first solo album ‘Past Life Martyred Saints’, Erika leaves aside the unsettled bliss of older times and pays tribute on the raw lyricism of scarring relationships and the experimental noise scene that stretches from the ominous graveyards of South Dakota to the outskirts of Seattle. She composes a thrilling collage of built-up sound and simple everyday standards that juggles between her 6ft tall figure and her deep distinctive voice. Her Viking ancestor, Eric-Blood Axe can only comply with the burning lyrics “I’m 22 and I don’t mind dying. “, cleverly borrowed from the epic song “Who Do You Love”. EMA is coming to Athens for the first time to present her explosive live show along with three members of her band and the swagger of riot grrrls in her pocket. The concert will open with Monovine, the tight-knit prolific band from Patras that this year released their first album “CLICHÉ” through Inner Ear Records. They masterfully lead harmony to noisy cognitive paths through their pious grunge riffs and compose an orgiastic rock history that tackles the space between the birth and death of… sound. The concert will take place on the outer room of Bios that has a capacity of up to 350 people.